Swaddling babies is really important. Finding the right swaddle can be difficult at times, but ergoPouch has great ones that work for all climates and they will work wonderfully with your babies. I received the 2-in-1 swaddle sleep bag 0.2 tog in blue in the 0-3 months. Double zipper makes it easy to do diaper changes while leaving baby's arms swaddled OR for removing and putting it on completely. Made from Organic, pure, super stretchy cotton for maximum breathability. I love that you can bring baby's arms out so they are still covered and their legs are still swaddled. Most babies like arms in though so I love that it's an option. I love this swaddle on Liam. It's perfect for keeping him comfortable and for swaddling and protecting him from scratches while making him feel safe. They have swaddles in different tog ratings (higher the number is thicker and warmer). They also have Pyjamas and sleep bags as well. Price: The 0.2 Swaddle comes in 4 colors and is $27.23 USD. It's $29.95 AUD. My favorite item is the Bamboo Kid's Pyjamas Warm. I love the airCocoon Swaddle in the chevron pattern, great colors! Merino and Bamboo Blanket- can't have enough of those! I like the WARM bamboo pyjamas, in blue, and really like the merino and bamboo sleeping bag. I love the baby sleeping bags! They are adorable. 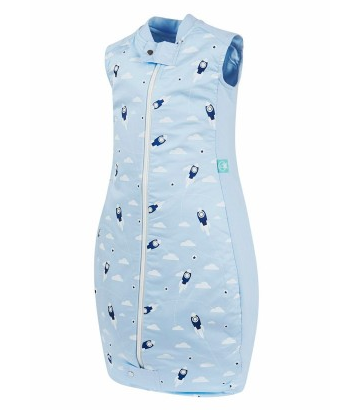 ergoPouch 2.5 tog Baby Sleeping Bag in the owl print loos fantastic! Great for camping trips too. I like the bamboo PJs! I really like the ergoCocoon 2.5 tog swaddle and sleep Bag in gray. I love the AirCocoon Swaddle in the black and white chevron print, not only is it super cute, but it looks very comfy for baby! I like the AirCocoon swaddle in the chevron print as well! I love the airCocoon Swaddle. My favorite thing is the ergo Arms, a little jacket with fleecy warm arms to put on for extra warmth. super cute too! The bamboo and merino sleeping bag looks dreamy! I love the warm kid pyjamas! The airCocoon Swaddle in chevron is so cute! I like the Bamboo Kid's Pyjamas Mild. I like their ergoCocoon 2.5 tog Swaddle and Sleep Bag! Thanks so much for the fantastic giveaway! I really like the airCocoon Swaddle and gosh, the chevron is adorable! The ergoCocoon 0.2 tog Swaddle and Sleep Bag looks awesome! Definitely an ergo pouch sleeping bag in pink polka dot! I like the ergoPouch 2.5 tog Baby Sleeping Bag. I really like the airCocoon Swaddle, and it comes it such a cute chevron pattern! The merino & bamboo blanket would be nice. I love the Merino and Bamboo Blanket from ergoPouch. I really like the air cocoon swaddle! I like the Bamboo Kid's Pyjamas in Blue. 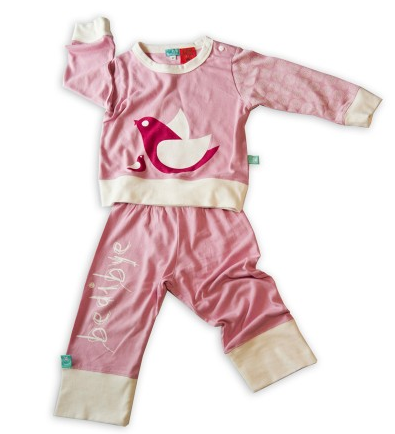 Love the Bamboo Kid's Pyjamas Warm in both colors! So cute and practical! I like the pink baby sleeping bag!! I like the Air Cocoon Swaddle in Navy Chevron, and the pyjamas in the yellow/gray giraffe print. So sweet! I like the Warm Bamboo Kids Pajamas. I love the chevron aircocoon! Thanks so much for the chances to win this. I like the Bamboo Kid's Pyjamas Warm.